Carol was born September 9, 1941 in Halstad, Minn., and later moved to Washington and became a graduate of Edmonds High School (Class of 1959). After graduation Carol attended Everett Community College where she received her associate’s degree (1961), and later received a bachelor of arts in Education from Pacific Lutheran University two years later. She completed her master’s degree in Education (1969) at Central Washington University and also did graduate work at Cal Poly, San Louis Obispo and the University of Washington. Carol taught at Eisenhower High School in Yakima (1963-1996) and again for the 2002-03 school year. During her time in education, Carol was the department chair for 30 years. In 1971, she started the girls’ basketball and track and field teams at Eisenhower and remained the coached of both teams for 10 years. The Eisenhower girls’ track and field team finished second at the State Championships in Goldendale (1975). Carol also coached softball (1983-2004), qualifying for the State Tournament twice. Carol has officiated volleyball for the Washington Officials Association (WOA) for 39 years, which included middle school, high school, and several State Volleyball Tournament contests. 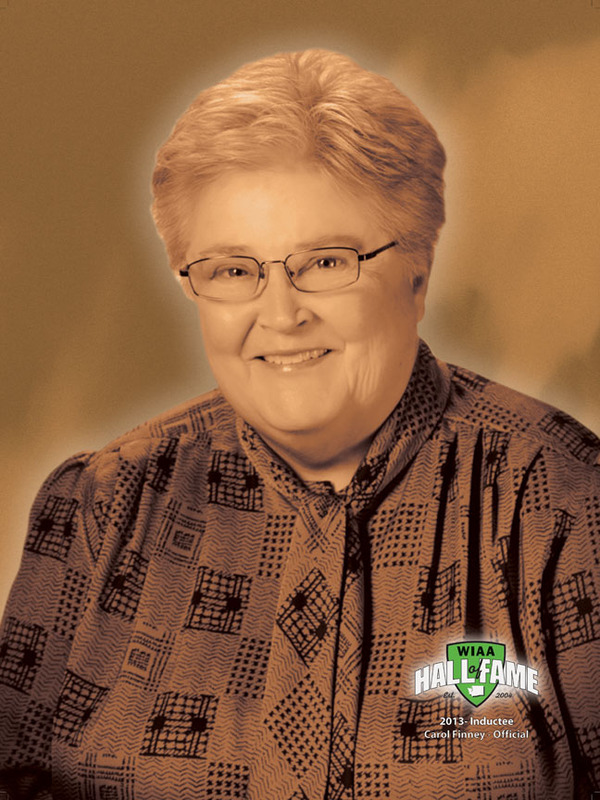 She also officiated basketball for 12 years and was one of the founders of the Basketball and Volleyball Officiating Boards (Central Washington Board of Officials). She was appointed to the original Fee Review Committee, and served as Region 5 Board Representative for 10 years. Carol worked District Volleyball tournaments for over 25 years. She has worked State Volleyball Tournaments at Renton, Wenatchee, Riverview (Finley), and Spokane for the last 13 years. She currently manages the 1B, 2B, 1A State Volleyball Tournament at the Yakima Valley SunDome and the 1B, 2B State Softball Tournament at Yakima Kiwanis Park, which she has done for eight years. She has been an Assigning Secretary for Central Washington Volleyball for over 25 years, and part of the evaluation team every year. She was a recipient of the WOA Meritorious Award (1992), awarded the YVIAA Distinguished Service Award in appreciation for dedicated service to the Youth of the YVIAA (2005), and was inducted into the WOA Hall of Fame (2012). Carol has dedicated her life to helping the students of the valley and has helped develop the Yakima Volleyball Board, which has become one of the top respected boards in the state.